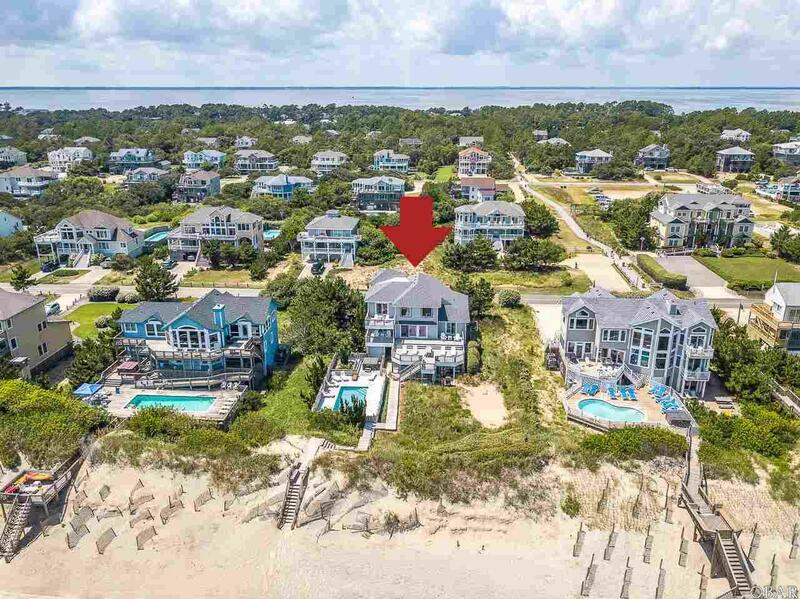 This well maintained, and beautifully appointed Corolla oceanfront home is thoughtfully laid out and decorated with a coastal vibe. 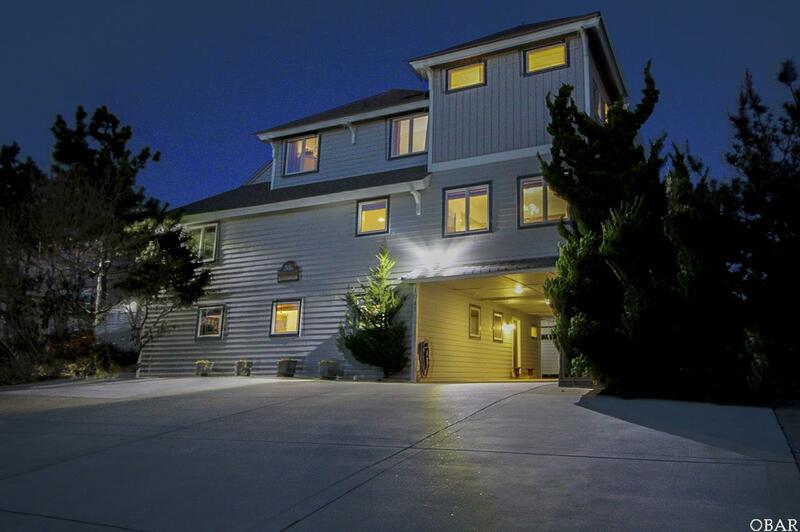 With 7 bedrooms (3 En Suites) and 6 full baths this is a home to see. Enjoy amazing ocean views from the living room, loft and en suites. Located in prestigious Whalehead, a sensational location with the beach at your doorstep and shopping and dining options conveniently nearby. Amenities include a private heated pool, hot tub, outside shower, covered sitting area, storage for beach supplies, gas grill, picnic tables for casual outdoor cooking & dining, private beach walkway and access. On the lower lever, a Gameroom with pool table, foosball and wet bar equipped with a wine cooler and sink, two bedrooms; one having an en suite, hall bath and laundry room including an additional full fridge. The main level opens to an open concept living room with hardwood floors, custom Juniper woodwork on the walls, gas fireplace, game table, expansive ceilings and ocean views, private dining room, hall bath and direct access to a large sun deck. The newly remodeled gourmet kitchen features granite counters, hardwood floors, stainless steel appliances, plenty of storage, bar seating, five burner Bosch gas stove, double wall ovens and a side-by-side refrigerator with icemaker. Three bedrooms; two with ocean views and deck access and a hall bathroom. The second level offers a sun filled loft/den with amazing ocean views and access to a sun deck with panoramic ocean views. This floor is completed with two en suites; one having ocean views, access to the sun deck and a Jacuzzi tub. 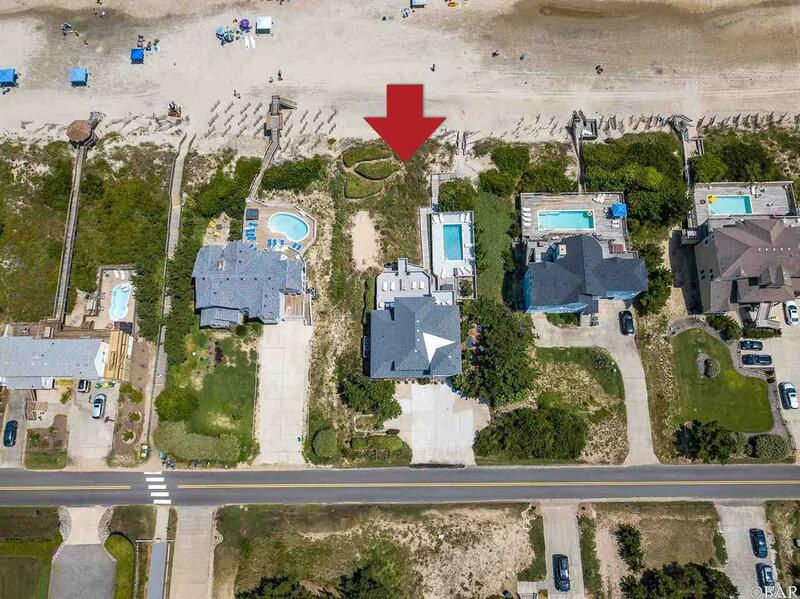 This is really the very best in oceanfront living and all the updates have already been done! 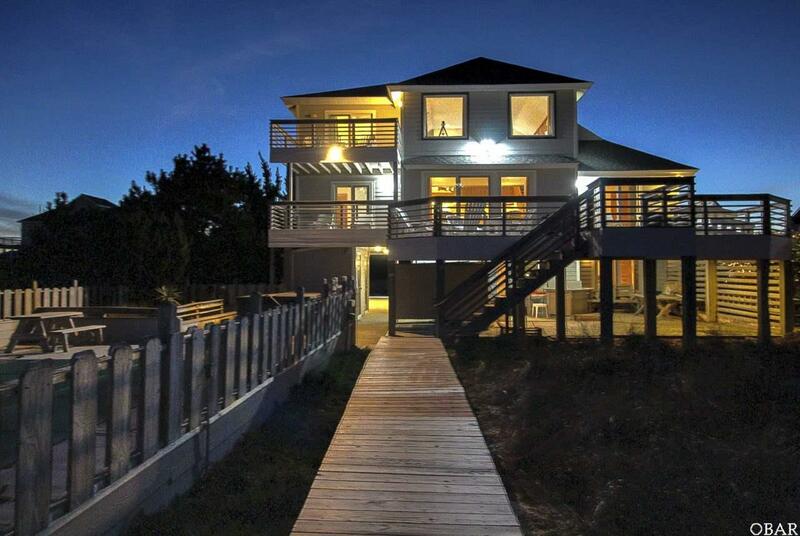 You can just sit back and enjoy the ocean breeze from one of the expansive decks. Listing courtesy of Christy Cartwright of Coldwell Banker Seaside Realty.